First it was the Russians. Then the Germans. Then the Russians again. Only in the last quarter-century has Latvia been able to reclaim its nationhood, and only in the last decade has it felt secure in that claim. 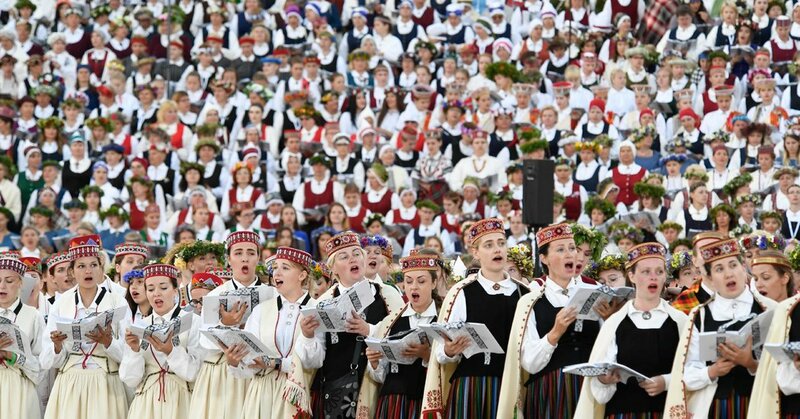 Ms. Melbarde, still a bit bleary eyed from singing until dawn, said that one had to understand Latvia’s ethnic makeup and generational divide to understand its anxiety.